Sorry if I’m a little late to the game on this one, but I just had to gush about my new beauty find. I’ve been looking for a good blush for about a year now and last week I spontaneously wandered over to this beauty. Marc Jacobs, designer behind his namesake brand and Louis Vuitton, now has his own makeup line….and it’s life-changing! I’ve been looking for a blush that picks up nicely on to my brush. 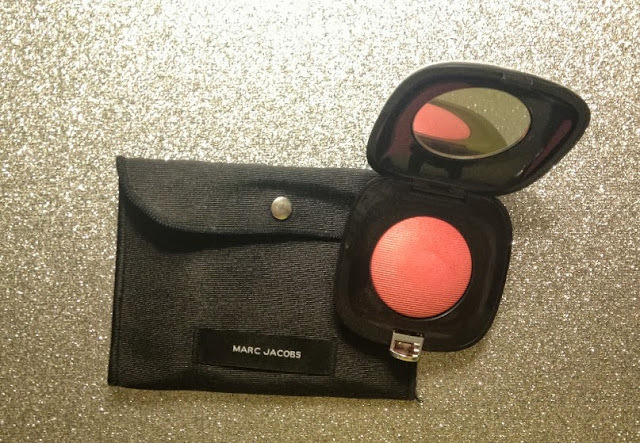 I tried a number of different blushes in a variety of price points – a Cover Girl, Stilla and Mac and none of them were hitting the mark. After one little brush of my finger on the Marc Jacobsto my hand, I was sold. Like seriously – this was a 1.1 minute decision. When I was checking out, the lady at Sephora said that someone recently came into the store and fell so in love with the blush line, she bought them all. I know the price is a bit steep on this one, but I only buy one blush a year and I wear it daily, so when you do the math, it’s a good investment (.8 cents a day! ).